DIY: The whole set can be arranged in a variety of ways to accommodate different spaces. HQ MATERIAL: Built from rust-resistant strong steel frame with durable and weather-resistant 9mm-thickness PE rattan wicker for years of use. 200g Moymacrae cover and 24D Sponge interior make you feel more comfortable. Home territory searches the web to find the best prices and availability on Wicker and related products foir your home like Cloud Mountain 6 Piece Rattan Wicker Furniture Set Outdoor Patio Garden Sectional Sofa Set. 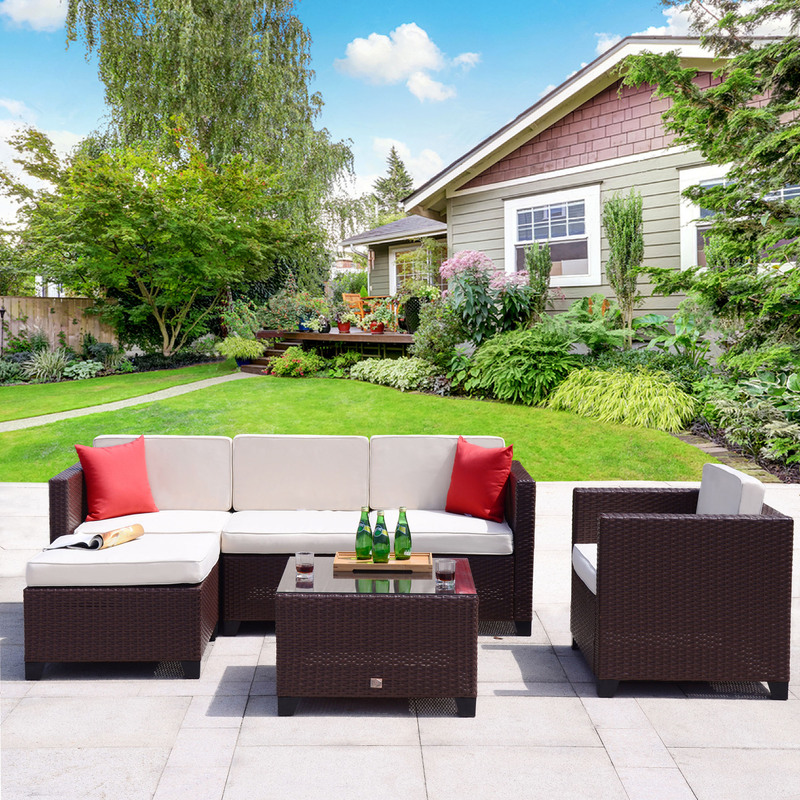 For this page, related items include products we find that match the following keywords: "Wicker" at our vendor partner Walmart - Click More Info / Buy Now to check for price rollbacks!. Cloud Mountain 6 Piece Rattan Wicker Furniture Set Outdoor Patio Garden Sectional Sofa Set is one of 91 Wicker and related products available for sale through HomeTerritory.com, If you have any questions on this product, please give us a call at 734-971-1210 during the hours of 9am - 5pm EST for assistance. Thank you for shopping at Home Territory, the home furnishings superstore!